Lok Sabha Elections 2019 in Jammu and Kashmir will be held in five phases on April 10,17, 24, 30 and May 7. The counting of votes will be conducted on May 23 and the results will be announced on the same day. Srinagar: PDP president Mehbooba Mufti, who filed her nomination papers from Anantnag for upcoming Lok Sabha Elections 2019 on Wednesday, warned that the relation of Jammu and Kashmir with India will end if the terms and conditions of the state’s accession to the Union were changed. “2020 will also be a deadline from Jammu and Kashmir to the nation. 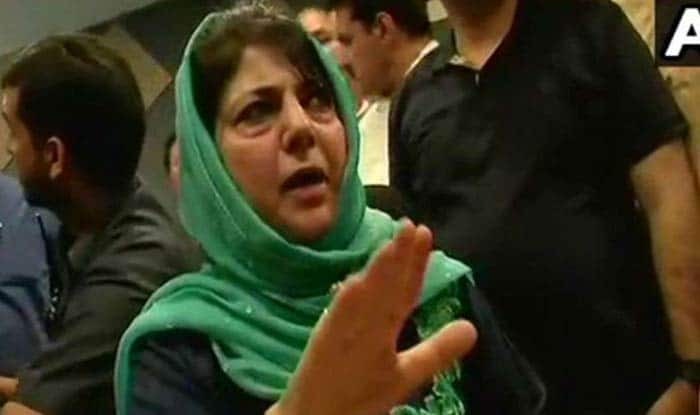 If you remove those terms and conditions on which Jammu and Kashmir acceded to India, our relation with the country will also end,” she told reporters, in an apparent response to Bharatiya Janata party (BJP) president Amit Shah’s assertion that Article 35A, which guarantees special status to Jammu and Kashmir in terms of residency rights, will be repealed by 2020. The BJP president, in an interview to a TV channel on April 2, had said that the party is firm on its stand on Article 370 and 35-A right from the days of Jan Sangh. “The Articles couldn’t be abrogated as the BJP didn’t have majority in the Rajya Sabha. It will happen in 2020 when we get majority in the Rajya Sabha,” Shah was quoted as saying in a media report. On the Congress manifesto, Mufti said it was word by word same as the Agenda of Alliance agreed upon between her father Mufti Mohammad Sayeed and the BJP at the time of government formation in Jammu and Kashmir in 2015. “Congress manifesto is same as what Mufti Mohammad Sayeed kept in Agenda of Alliance with BJP…Status quo on Article 370, revocation of AFSPA, holding dialogue and reducing army footprint from civilian areas. It is word by word the same thing,” she said. “(BJP leaders) Amit Shah and Arun Jaitley said they will abolish articles 35A and 370. Let them do it. We will see how they do it,” he added. Jammu and Kashmir will go to Lok Sabha elections in five phases. The polling dates are April 10, 17, 24, 30 and May 7. The counting of votes will be held on May 23.